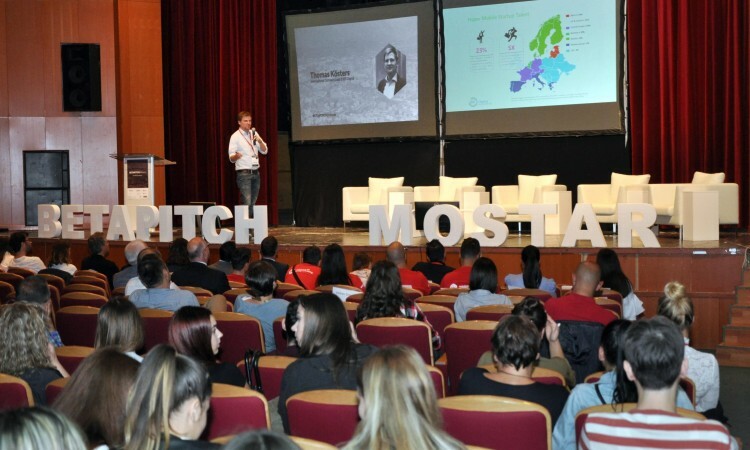 Looking for great startups to pitch in Mostar! Our partner SPARK is proud to organise the second annual BETAPITCH international startup competition in Bosnia and Herzegovina. On November 8th, Mostar will be the regional centre of startup innovation, with 10 carefully selected startups pitching on the main stage of the amphitheatre of Faculty of Economics of University of Mostar and aiming for the main prize - a trip to Berlin to compete at BETAPITCH Global and network with the international scene at the Investors Day on November 15th, along with a valuable gift worth of 1000$ for the B&H startups and other valuable awards. This all-day celebration of talents, high-tech, creating corporate partnerships and business innovation will be elevated to an even higher level by amazing talks of our respective guests. BETAPITCH will gather local and international IT startups, entrepreneurs, accelerators & incubators representatives, investors from all over the region and abroad!